I have to start over???? Really??? Is there a 512MB XP install for a Neoware?? I need help please !!! Can I change My Thin Client Os ? Anybody Tried WinFLP on a Compact Flash? 2GB RAM in T5730? HP says supported. Which ones work? Can someone tell me if this client will work? Neoware e90? HP T5720 Thin Client. What else do i need? MJ updates on t5710 cause "broken storage"
Magic Jack cant help me. Wyse V90 Thin Client would this work? 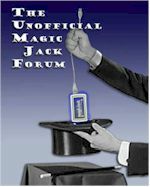 is it safe to leave magicJack on 24/7 ? Would this thin client work with MJ? HELP!!! is MJ down!!! ?? Can anyone provide a list of thin client which can be used? Can a HP thin client t5525 Ll 800MHz 256/128 used with MJ? I erased my Magic Jack?? ?